The president made the comment while pushing for voter ID laws at a Florida rally. President Donald Trump told a crowd in Florida on Tuesday night that buying groceries requires an identification card. Trump made the comment while pushing for voter ID laws at a rally in Tampa to support Rep. Ron DeSantis (R-Fla.) in the state’s gubernatorial race. The president touched on a number of his regular talking points, including unemployment rates and tariffs, before talking about voter fraud. Trump claimed Democrats were attempting to give undocumented immigrants the right to vote. There is no evidence that noncitizen voting is a widespread problem, despite Trump’s claims. Pressed in court earlier this year to offer evidence of widespread noncitizen voting in Kansas, experts whose work Trump has relied on were only able to point to a handful of cases. Social media users remarked on Trump’s assertion as “out of touch” and wondered when the billionaire last bought his own groceries. You need an ID to buy groceries? How out of touch can you be? How much does a loaf of bread cost Trump? Do you know? Trump says you need photo ID to buy groceries in the U.S. That’s more out of touch than George H.W. Bush’s grocery scanner. Trump discussed trade deals and immigration before the Tampa crowd using much of his typical rhetoric. He once again used the term “globalist,” which is often used in xenophobic and anti-Semitic contexts, to refer to lobbyists fighting against his tariffs. Trump also went after Democrats for their views on immigration, including calls to abolish Immigration and Customs Enforcement. Trump ended the rally by boasting about the “impact” of his endorsements. He remarked on Brian Kemp’s primary win in Georgia last week in a contentious Republican runoff for governor after he endorsed Kemp. This story has been updated with information on noncitizen voting. Programming note: CNN will air “Remembering Anthony Bourdain,” a special report on the life and legacy of the chef, storyteller and writer, tonight at 10 p.m. ET. Former President Barack Obama recalled a meal he shared with Bourdain in Vietnam while Obama was on a trip through Asia in 2016 — an encounter captured in a “Parts Unknown” episode that year. Bourdain’s death came days after fashion designer Kate Spade died in an apparent suicide Tuesday at her Manhattan apartment. The Smithsonian once called him “the original rock star” of the culinary world, “the Elvis of bad boy chefs.” His shows took him to more than 100 countries and three networks. Friends and acquaintances on Friday remembered Bourdain’s curiosity for the world’s variety of cultures and cuisine rubbing off on them. 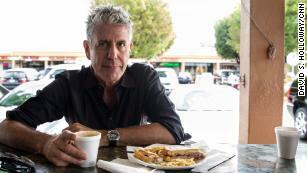 They included author and humorist John Hodgman, who recalled eating with Bourdain some 14 years ago. 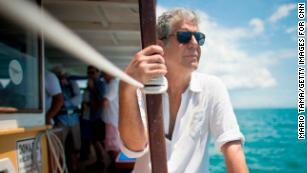 Bourdain grew up in Leonia, New Jersey, and started working in kitchens in his teens — including on Massachusetts’ Cape Cod during the summer. 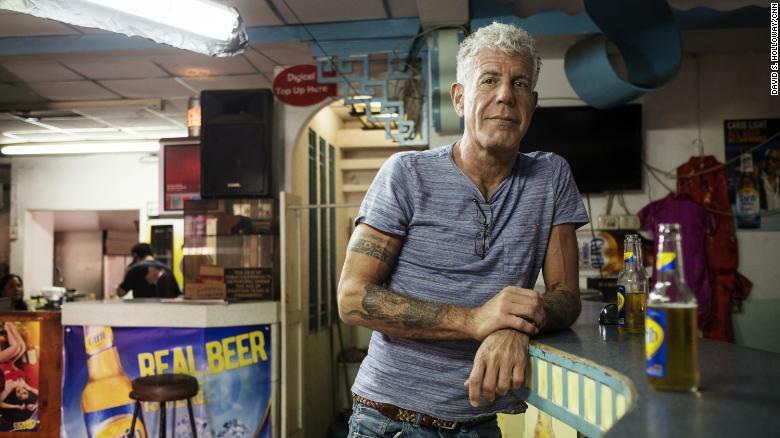 “Somebody who wakes up in the morning and their first order of business is (to) get heroin — I know what that’s like,” Bourdain said in a 2014 “Parts Unknown” episode highlighting an opioid crisis in Massachusetts. After spending two years at New York’s Vassar College, he dropped out and enrolled in culinary school. He spent years as a line cook and sous chef at restaurants in the Northeast before becoming executive chef at Manhattan’s Brasseries Les Halles. But it was his writing that put him on the map in his early 40s. 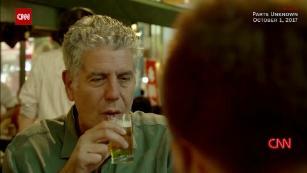 Bourdain drew widespread public attention with his 1999 New Yorker article, “Don’t Eat Before Reading This,” about the secrets of kitchen life and shady characters he encountered along the way. “In America, the professional kitchen is the last refuge of the misfit. It’s a place for people with bad pasts to find a new family,” he wrote. The article morphed into a best-selling book in 2000, “Kitchen Confidential: Adventures in the Culinary Underbelly,” which was translated into more than two dozen languages. 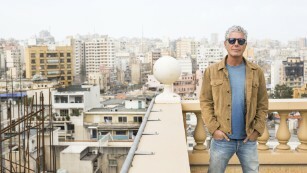 Season 11 of “Parts Unknown” premiered last month on CNN, with destinations including Uruguay, Armenia and West Virginia. He called it a “dream show” in which he linked up with longtime Hong Kong resident and cinematographer Christopher Doyle. CNN’s Alex Marquardt, Jason Hanna and Nathaniel Meyersohn contributed to this story. 247 – Militants of the Landless Workers Movement (MST) came together to support the truck drivers strike at Dutra, in São Paulo, where they distributed food to drivers. The kilometer 204 of Presidente Dutra Highway, at the time of Seropédica, is a point of great concentration of truck drivers in the state of Rio de Janeiro, in the lane towards São Paulo. According to the protesters’ calculations, there are about 2,000 vehicles stopped at the side of the road and on a landfill at a gas station. But according to federal highway police officer Miranda, a member of a PRF team that is carrying out on-site inspection, there are just over 300 trucks stopped. 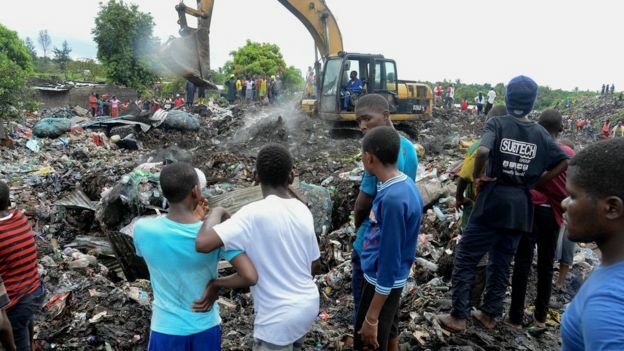 At least 17 people have been killed in Mozambique’s capital, Maputo, and many more injured after a huge mound of rubbish collapsed, officials say. The pile of waste, some 15m (49ft) high, gave way in heavy rains at 03:00 local time (01:00 GMT) on Monday. 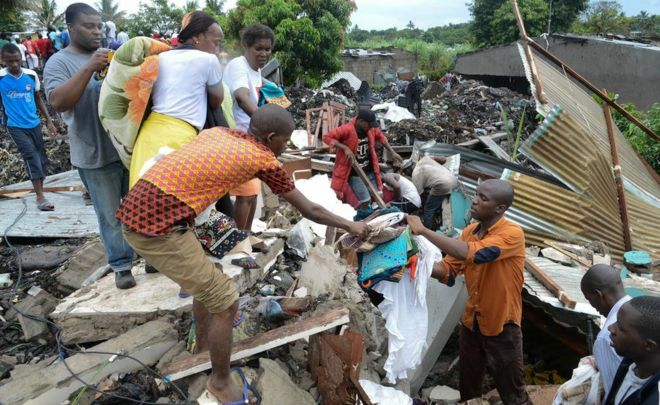 The dump not only provides them with food, but also goods to sell, our correspondent Jose Tembe explains. The government keeps on promising and promising to close the dump for good, but they never do it. Earlier this evening I was reading some post that folks had made about puppy mills. I personally have never seen a puppy mill though I have heard of them for many years now, but, there is something I want to enlighten some folks on about cruelty, (in my opinion) of other animals. What I am going to speak about tonight is on how some cattle are groomed for slaughter. As most people who have ever been out of the cities during daylight hours would know we notice cattle grazing in the fields of the country side. Until I started driving a truck for a living I never thought anything different, but I have learned different. I had heard of places that raised cattle as if they were some kind of plant instead of a living creature but I had not seen such a thing with my own eyes until the company I was working for from 02-04 out of Knoxville TN who had a shipper in Chino California who had one of these, for lack of a better term, cow mills next door to the warehouse I loaded at. It was not uncommon with this shipper where you would have to wait 6 to 12 hours before your load would be ready so you occasionally walked about looking at the neighborhood. When you pulled into this shipper you would quickly notice the aroma of manure and urine in the air, turns out that on the adjacent property to the west was a beef producing company. This area not to long before was all farm land but now warehousing was scooping up the land. What I noticed next door was pathetic, there were young cattle who were boxed into very cramped stalls to where they could not turn or move at all, all they could do was stand there. These animals were fed constantly with all they needed to grow as quickly as possible. They got their food, water and steroids imputed as they stood over latrine ditches that they did their needs into. As soon as the company got each unit (cow) up to a certain weight they sent them out to be butchered. What a life, but, is that really a life? 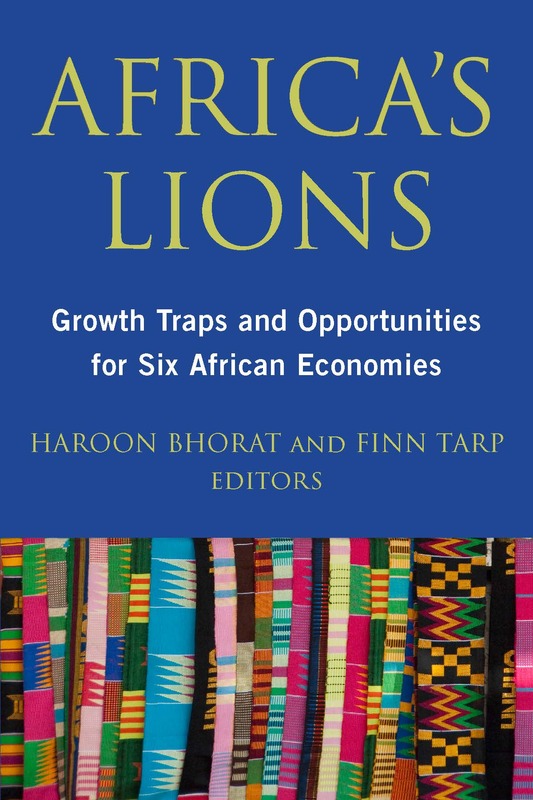 Everything in our financial world is totally about revenue, whether it is cattle, puppies or humans the person at the top end of the financial latter only cares about their profits. For good measure for the gross factor I’ll also let you know about the situations at the slaughter houses. I never hauled live cattle before but I have hauled a lot of free swing beef and boxed meat. About five or six times I was assigned to pickup loads of cow hides from the slaughter houses. Besides the stink of the venue and of the hides there was one other thing you couldn’t help but notice, the hides were still warm and steaming as they were being loaded onto your trailer, gross when you think about it. For good measure I will let you in on one more thing about our American food supply. It was a bit of a surprise when I first saw items like cherries fresh from the field having the coloring bleached out and then being redyed with just the right red dye to make it where the American public would buy it because we Americans are so fickle, if things don’t look just a certain way, we wont buy it. 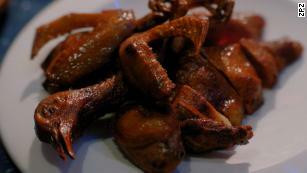 Really, is it any wonder why Americans have so much weight on us and why we get such a high rate of diseases? The things you see when you make your living out on the road can be surprising and at times disturbing. The word “Outback” used to conjure images of Australia’s tenacious frontier spirit; of hunters, ranchers, and other adventurers who carved out a harsh existence from an unforgiving land. Thanks to a decades-long campaignto distance the island nation from certain elements of its rugged heritage and the proliferation of an Australian-themed casual dining restaurant chain, today the word “Outback” is more likely to bring to mind a 3,000 calorie deep-fried onion. Despite its namesake and decor, culinary critics have long questioned whether Outback Steakhouse offers an authentic Down Under dining experience. However, these detractors should know that in recent years the chain has gone to great lengths to replicate for their guests Australia’s culture of civilian disarmament by prohibiting diners from carrying firearms onto the premises. This commitment to reproducing Australia’s defenseless society is so profound that earlier this month a uniformed law enforcement officer was asked to leave an Outback in Cleveland, Tenn. because he was armed. What is this country coming to? A uniformed Law Enforcement Officer who is sworn to protect and serve the public, is refused service because they have a firearm! I am disgusted and have no other words!!! Given the decades of statistics showing the law-abiding character of Right-to-Carry permit holders, Outback’s gun free zone policy is foolish. However, that the company would cite their gun-free policy as justification to yield to the ravings of an unreasonable individual to the detriment of a uniformed law enforcement officer is radical. There is a general consensus that uniformed and ununiformed current and former law enforcement officers should be allowed to carry a firearm for the public benefit. That is why in 2004 Congress passed and President George W. Bush signed the Law Enforcement Officer’s Safety Act (LEOSA). Under LEOSA, current and former law enforcement officers who meet certain basic criteria, such as carrying qualified identification, are permitted to carry a firearm throughout the country. Showing the strong bipartisan support for this measure, the original legislation, H.R. 218, had 297 co-sponsors in the House of Representative and passed the Senate unanimously. Subsequent changes that have been made to increase the number of officers able to take advantage of this protection have been similarly popular. Sensing a growing public outrage, Outback reached out to the Wards and offered them a $100 gift card and an apology. Outback’s parent-company, Bloomin’ Brands, Inc., issued a statement to Chattanooga’s WTVC that contended it is not company policy to prohibit law enforcement officers from carrying at their restaurants. The statement went on to blame the incident on the individual restaurant manager.